Today marks the three month anniversary since I started blogging. This was my main goal when I started, mission accomplished! It is also the last daily Buzz blog post for the foreseeable future! I simply can not continue this brutal pace, it is exhausting! I need to tend to my other life which took a very unexpected and unbelievable (positive) turn earlier this week! I simply need to totally focus on that and not have my time occupied by reviewing the numerous travel miles/points blogs to see which ones make the TBB cut! I am not going away. This blog will be updated about once a week. It will look very different than the format you were accustomed to so far. My intent is to feature amazing blog posts you may have missed and as always give my veteran spin on them and developments in the community. I will also not have the pressure of finishing the Buzz post and may have some time to work on some posts I promised and never had the time to write. I may even look into improving the site design! If I am really bored I may even look to get some affiliate links and throw them up in a separate tab like Frequent Miler does:-) All I know is I will have more time to FOCUS writing for this new gig as the exposure is super huge! I really enjoyed doing this! In my own way (a few may still call it angry, you be the judge) I tried hard to LIFT the quality level of other bloggers in this community! I never EVER advocated NOT monetizing a blog! I always advocated that bloggers should focus on providing quality and original content and work harder to earn your clicks! Not only that but they should treat you with respect which is NOT inserting affiliate links in every opportunity! Practices such as promoting inferior affiliate credit card links, eye socket attacks with numerous affiliate links in blog posts (I believe the record was 35), no visible disclosure of the present financial relationship, censoring of comments, not disclosing HT where appropriate, and pure bad advice should not be tolerated! Take your mouse and click elsewhere! “I’m not going to deny being beholden, it frustrates me as much as anyone else. But that’s life in a one income household with kids..
Any blogger making a living from their blog is going to be beholden at some level. It’s unfortunate, but that’s just life. Blogging is NOT easy. You have to be ON almost 24/7. There are always spam comments to delete, emails to answer and of course comments. And of course it is so hard coming up with quality content day in and day out. Well, it was not a problem here at TBB but it was just not sustainable! Be demanding if their venture is for profit…and cut them a little slack here and there, you know, life gets in the way! 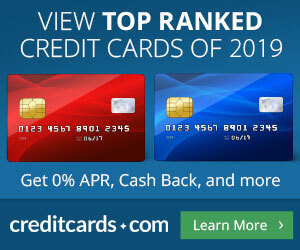 Bravo to The Points Guy for doing a separate blog post “Best Offer For US Airways Mastercard“. Million Mile Secrets interviews Travel Summary. Good stuff. PointChaser continues the series with the Best Club Carlson redemptions: Category 3. To all my readers, thank you so much for reading my blog posts every day! I hope I made a difference in your life; if not, at least I hope you had some laughs reading TBB! See you next week, not sure when. Weekend most likely! I will sincerely miss the daily updates and greedy affiliate link bashing (bravo) but look forward to the weekly recap. Go n-éirí an bóthar leath! May the road up to meet you and the wind be always at your back! emm…May the road RISE up..
Wow George! Thanks for my BEST OF quote! You and me love to travel and wander and see the world! It is an amazing place and one where we meet wonderful people along the way. We gonna miss your daily rants! Thank you, I loved your quote! Hey George, good luck with your new career venture; it sounds like it will be very challenging but you will love it! You have a great looking family! Great job George. Can’t believe it’s already been 3 months since you started blogging! I look forward to your once a week posts, and I’m sure many others will also. Will you be at FTU? By that point I hope to have some business to discuss and doing so in-person would be great! As of now, no FTU. But knowing me I probably can’t stay away…so I may need to pick up a ticket from someone who cancels. So…stay tuned. The employee from the Cyprus deal was Nicolo Cimilluca. Aaaww George….your daily posts will be very much missed! It was always the last post of the day before I hit the sack. I wish you the best in your unexpected and positive turn, and hope you still have the time to keep writing this blog! George, best of luck, I’ll miss your daily posts too, but I agree that it’s near to impossible to produce quality content every single day if you have a life outside of blogging. That said, I’m getting increasingly tired of the hundreds of copycat posts I see in my google reader everyday. You should be able to build a successful niche with a weekly blog recap. I’ll miss the daily updates, but look forward to the next evolution of TBB. Keep up the great work, George! Thank you very much. Yeah, I like the sound of that, next evolution of TBB. I’ve been loving it. Any chance you’ll publish the list of “who you follow”? I follow everybody for TBB:-) I think you mean who I personally recommend as far as blogs go? Good idea, maybe I can do my top 10 or something. Ok, I will keep that in mind. I like that page, very unique! Thanks again! I have another tab that you might like of jumping photos all over the world. Good luck to you-enjoyed your fresh and pretty spot on perspective on things. Looking forward to reading the weekly updates as well. So first of all, sure, I like daily updates but long as you’re still blogging it’s not a big difference. I’ll have to check once a week instead… so no pressure. It will be fine doing what you can. Also, not to be critical but I do have some constructive feed back. It seems that keeping bloggers accountable with “better links” has been awesome! I think you can see the effects. But isn’t it odd that now we’re praising bloggers (like TPG) for using the links they should be using anyways? Like that post doesn’t say ANYTHING that hasn’t been said many times a long time ago… but it made the best of? It had no contribution to our game but because he is so big, he gets mentioned. Meanwhile, other bloggers make actual contributions. I found 4 AA links that were better than the ones we had (visa, amex, biz MC and biz visa (none of which affiliate)) that are now being used on FT. Actually, I don’t want to make it sound personal cuz it reall isn’t… so in fact, it’s nothing compared to a daily post by Lucky. He has great contributions daily and I’m not so sure it’s equally “best of” as TPG’s not posting a crappier link. SO MY POINT IS, I’m not sure us readers want to hear about every time someone doesn’t push bad credit cards. I personally would rather hear about great contributions like lucky seems to crank out than how TPG posted about the USA card… Maybe it’s just me… but I agree on one thing. If they go pushing credit card links by the dozens on a post about wine, or pushing bad links. Grill them! it’s entertaining after all! In the past few days, FTG has made best of for NOT censoring comments, and TPG for pointing out there’s a better link than an affiliate one. Meanwhile dozens of bloggers actually put that into practice every day, but don’t get mentioned. Grilling was great for daily blog posts. I just don’t see how it can be done in a weekly post. If I continued that…it may resemble a post like one of FT Marathon Man’s infamous long posts! So…we shall see, I need to find a good weekly blog theme and just hit it! Dude, Grilling is your niche. It’s controversial (which is good for readership and activity (like comments)) and keeps people really curious. Plus, we have you to thanks for the few improvements in the blogger world. IMHO. Oh man, you couldn’t have stuck around one more day to comment on Mommmypoint’s latest post The “new double browser trick.” C’mon Man! 80 / 20 is also a good idea to remember as well. Keep the big boys in line and the rest will take care of themselves. Nobody really reads MilesMomma anyways, so who cares if she’s pushing inferior credit cards? This is by far my favorite obsessive-compulsive travel-nerd blog. I’ll be sorry to see fewer posts but highly commend you for your work the past few months. Thanks for keeping people honest. Thank you George for doing this blog. I believe it has accomplished something with a lot of bloggers (TPG now promoting non-affiliate USair card) and not so much (Delta Points). Anyway, best wishes and your thoughts will be missed!! Please…. I disagree with almost everything George stands for! I will continue to proudly censer the “angry’s”, to not recommend cards that require you to lie to get them or change computer code, or to hurt my readers eyes by pasting non-needed disclaimers all over posts! Oh, and yes, I will look for more chances to link in comments and in posts! Rene: I appreciate your comment here and will of course let it stay here. We agree to disagree. Nothing wrong with that. C’est la vie. You never seem to have such reservations when it comes to the T&C’s of oh, i don’t know…. Ink Bold for example? As I’ve told you privately, you have improved the travel blogging world by keeping the bloggers accountable. I believe their writing/behavior changed because of what you wrote, albeit with some exceptions(milevalue USAir link!). And even a 1x/weekly may still continue to do so. Sadly, life gets in the way sometimes. Can’t fault you for that. Best of luck in your new endeavor. I am doing a post right NOW. Brett Favre came back, why not TBB:-) I totally understand the daily routine thing. It is too much fun. Much shorter posts with only MVP type posts! Txs George you too and hope you hit a home run in new endeavors! @Anonymous – as expected, the “angry’s” show the same class as always – so sad!